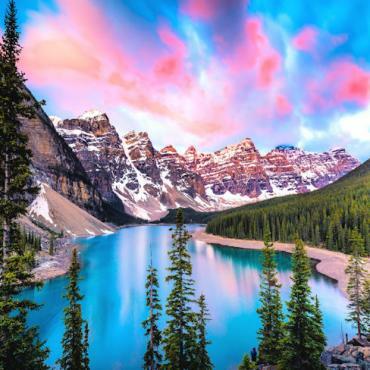 Tauck's action-packed western Canada tour features a classic overnight rail journey from Vancouver into the Canadian Rockies, a floatplane excursion over the Gulf Islands, a ferry cruise to Victoria, an Ice Explorer ride across a glacier, and a raft trip down the Bow River. 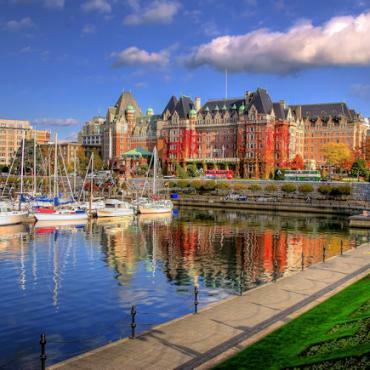 Explore the cities of Vancouver and Victoria, travel the Icefields Parkway, visit Victoria's celebrated The Butchart Gardens and the Royal BC Museum, and discover Banff and Jasper national parks from legendary inside-the-park Fairmont resorts. 21 meals, service charges, gratuities to local guides, admission fees, taxes and porterage. Tour begins at 6:00 PM . 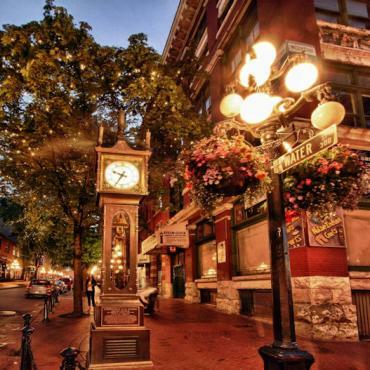 Your hotel is located within easy walking distance of Vancouver's lively Gastown and Stanley Park. Meet your Tauck Director and travel companions at the welcome reception followed by dinner. 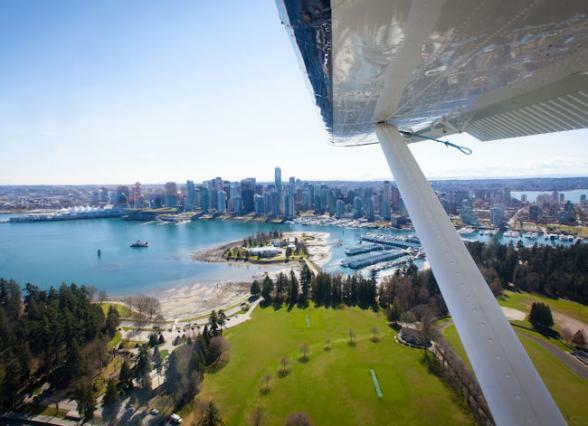 A guided sightseeing tour including Chinatown and Stanley Park introduces you to the history and vibrant cultural life of Vancouver, site of the 2010 Winter Olympics. 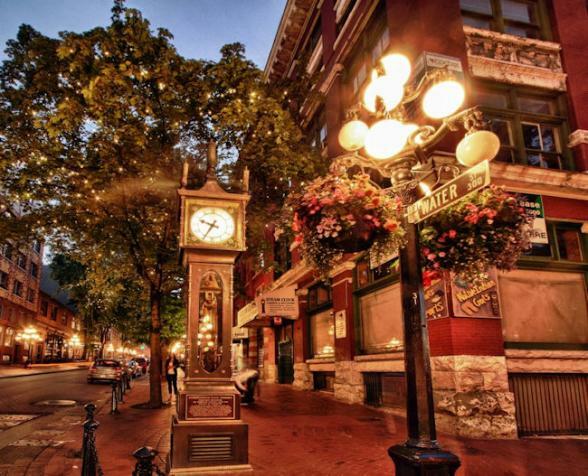 Enjoy lunch on your own on Granville Island, then board a ferry for a cruise across the Strait of Georgia to Vancouver Island and Victoria, British Columbia's capital. 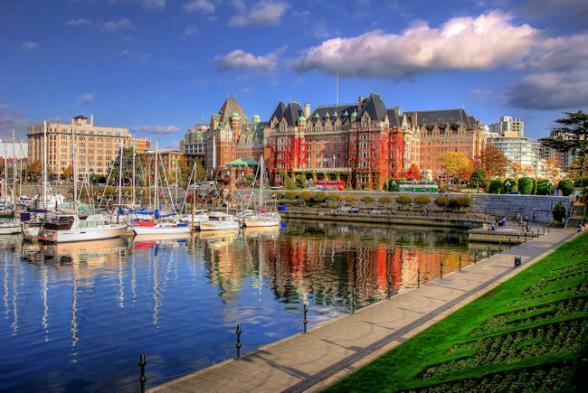 Stay two nights at the Hotel Grand Pacific in a balconied, Grand Harbor View room overlooking Victoria's beautiful waterfront. 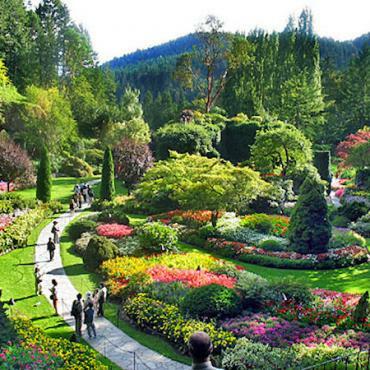 Discover a little piece of England on a visit to The Butchart Gardens in Victoria, encompassing 55 acres of breathtaking floral beauty in Japanese, Italian, Rose and Sunken show gardens dating back to the early 20th century. Explore on your own for the rest of the day and evening. The many treasures of one of the world's finest museums of natural and cultural history are yours to explore on a visit to Victoria's Royal BC Museum. Join us for Afternoon Tea at the Empress, a sweetly decadent tradition for over a century. 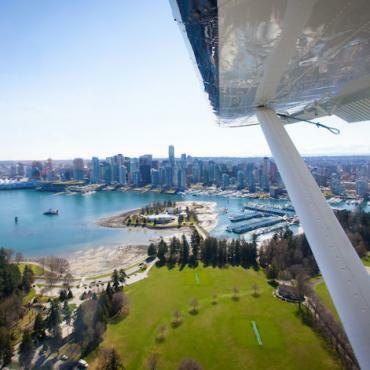 Then return to Vancouver via floatplane in late afternoon, with spectacular views over the Gulf Islands. 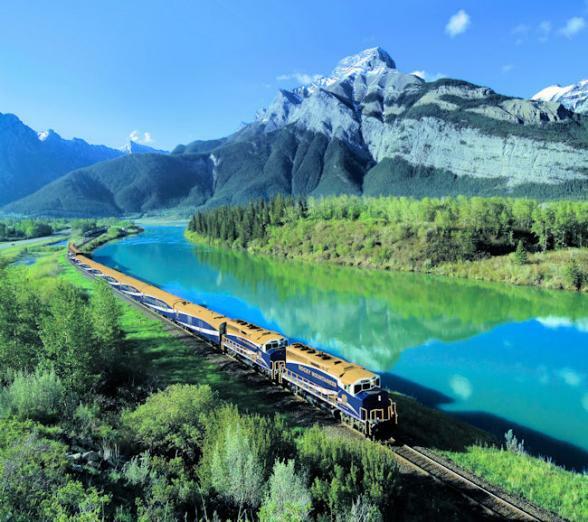 Tonight, board the sleek, newly restored rail cars of VIA Rail's The Canadian, and celebrate the start of your overnight journey to the Canadian Rockies with a champagne toast. 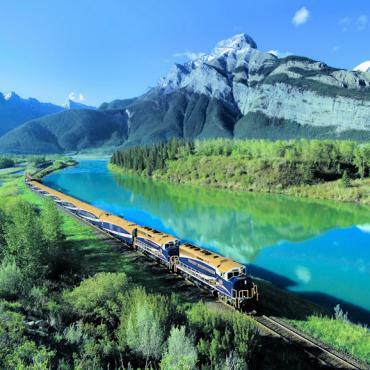 Spend the night on the train while speeding across some of the most breathtaking scenery in North America. 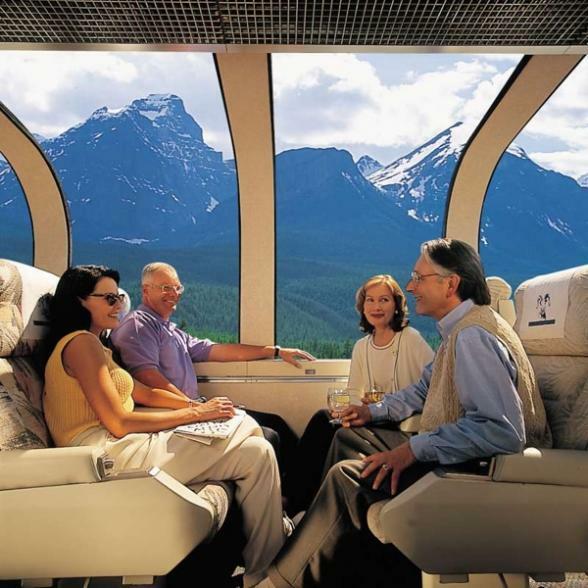 The vistas are nothing short of spectacular from Tauck's private domed observation car - reserved for Tauck guests only - aboard The Canadian, as your western Canada tour continues across British Columbia, where towering peaks and glaciers highlight the route. 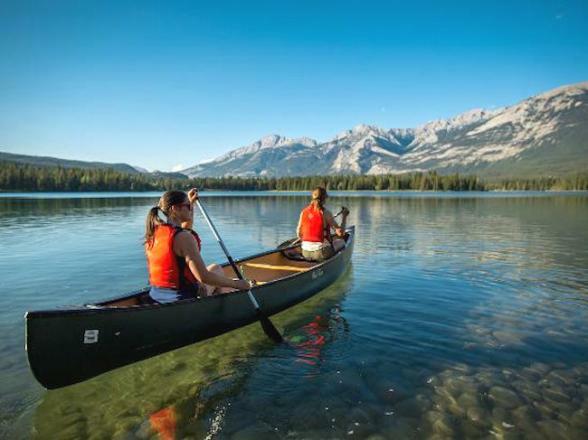 Cross the Continental Divide into the province of Alberta; arrive in Jasper National Park for a two-night stay at The Fairmont Jasper Park Lodge on the shores of Lac Beauvert. 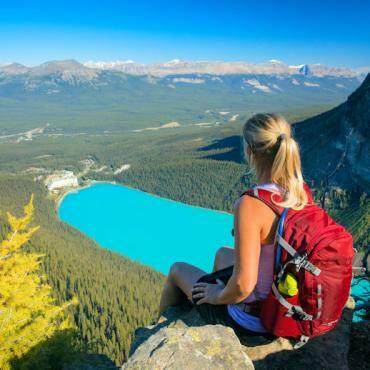 The day is yours to spend just as you wish among the carefully protected ecosystems - and photographer's paradise of Jasper National Park, where optional choices at your resort (at additional cost) include horseback riding or tennis. 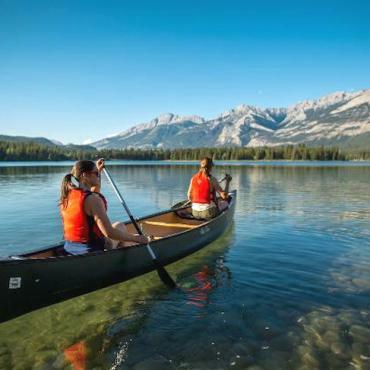 Rent a canoe or paddleboat on Lake Beauvert; go on a trail ride or a guided nature walk; play a round of golf on a top-rated course; or visit the historic town of Jasper on your own. This evening, a presentation by a Parks Canada official precedes dinner at your choice of restaurants at the lodge. Drive the Icefields Parkway, featuring jaw-dropping views of mountains, waterfalls, glaciers, and snowfields around every turn. Watch for bears, elk, bighorn sheep, and mountain goats, especially in the spring and fall. 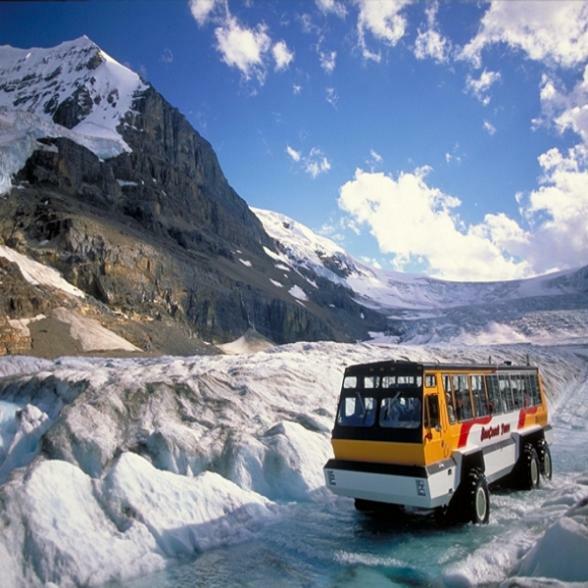 View Athabasca Glacier flowing from the Columbia Icefield, and take a memorable climb across the glacier's surface on an Ice Explorer, a specially designed vehicle. Arrive at your chateau-style hotel on the edge of Lake Louise overlooking Victoria Glacier, for a night in a Lake View room. 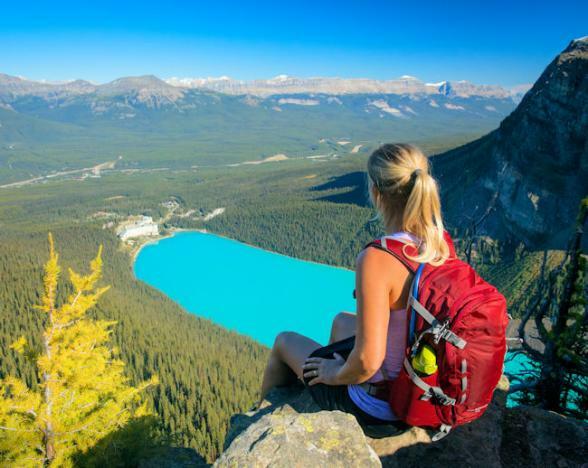 Spend the morning at leisure exploring your Lake Louise resort as you please. 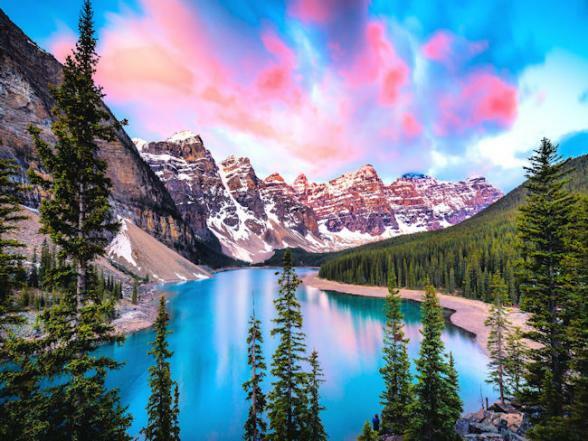 This afternoon, enjoy the change of scenery and hotels when you settle into your hotel in the heart of Banff National Park; know as Canada's "Castle in the Rockies" the Fairmont Banff Springs, has been a Rocky Mountain icon since the 1880s. 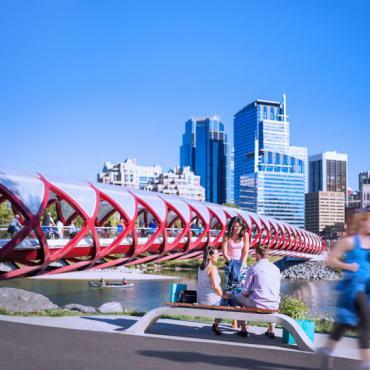 Embark on a float trip along the Bow River, then spend the rest of the day at leisure at your grand hotel, built more than a century ago to resemble a Scottish baronial castle. There's a full range of optional activities (available at additional cost) to try. 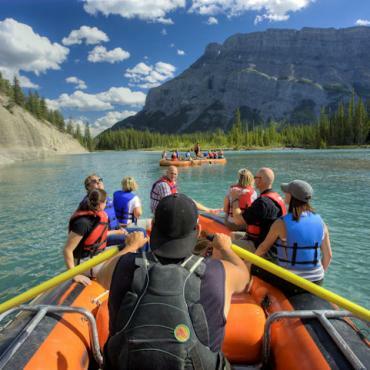 Perhaps take a guided nature walk; book a treatment at the renowned Willow Stream Spa; ride the scenic Banff Gondola; or enjoy horseback riding, a round of golf, or the museums in the town of Banff. Join us this evening for our farewell dinner. Travel from Banff National Park to Calgary, Alberta this morning, approximately 80 miles. 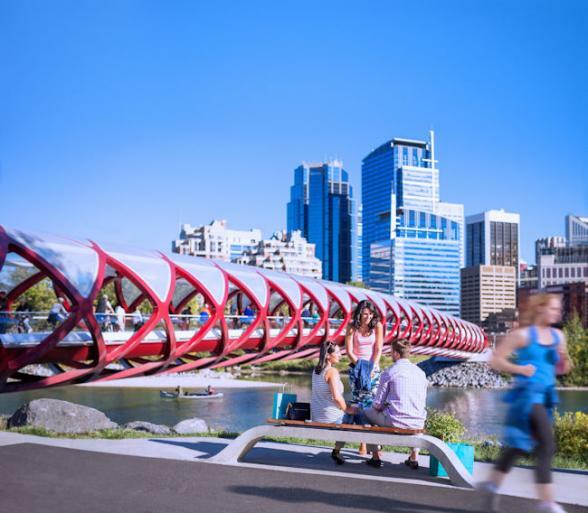 Your western Canada tour and mountain adventure ends at 10:00 AM at Calgary International Airport. 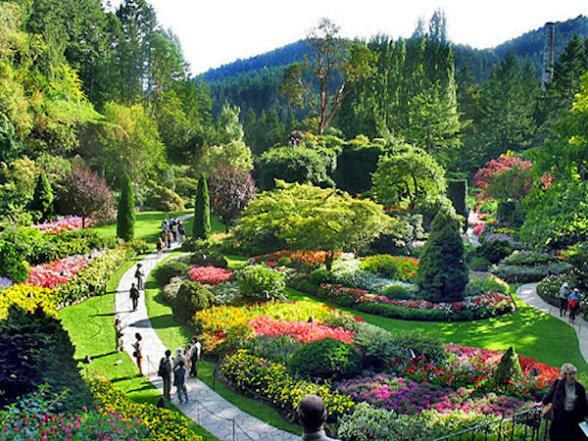 However your trip doesn't have to end here, why not extend your tour and head to Washington state in America? Perhaps you may want to break up your flight home and stop off on the east coast before flying onto the UK? 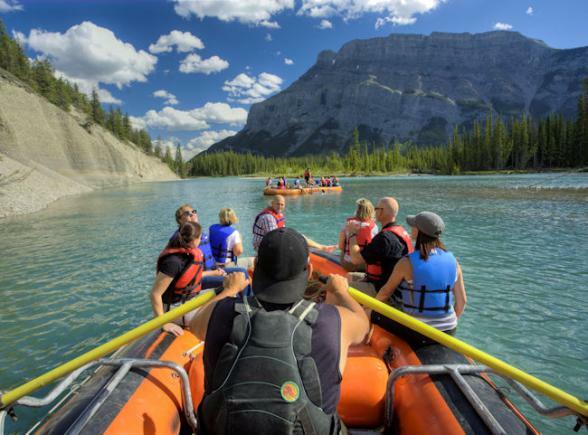 Call the travel specialists at Bon Voyage to discuss your Grand Canadian Rockies adventure.